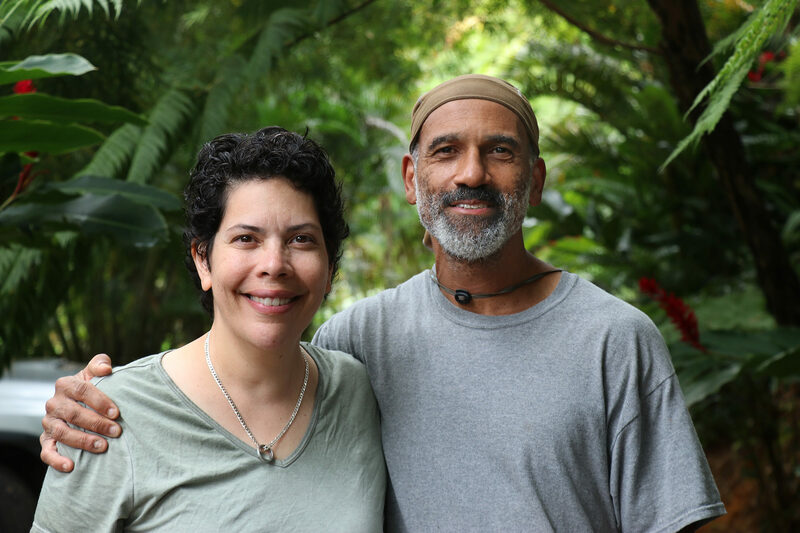 When Sarah and Paul Ratliff uprooted their lives in California to farm in the misty mountains of Utuado, Puerto Rico, the couple knew only five words of Spanish between them. Despite the uncertainties — Sarah called the decision “impulsive” from start to finish — the Ratliffs now consider Puerto Rico their home. “It was time to do something really different, and so we thought/decided in the last half of our lives we might as well do something that feels meaningful to us, and so, here we are,” Sarah Ratliff said, smiling from her veranda that overlooks a lush, green mountainscape. Utuado, located just a smidge to the west of the center of the island, is surrounded by high mountains and the Lago Dos Bocas reservoir. Though the Ratliffs live only six miles from the town center, it takes a half hour to get there. The winding, narrow road carved into the mountainside passes colorful Mediterranean-style houses, and, on the last leg of the trip, a yard full of peacocks. 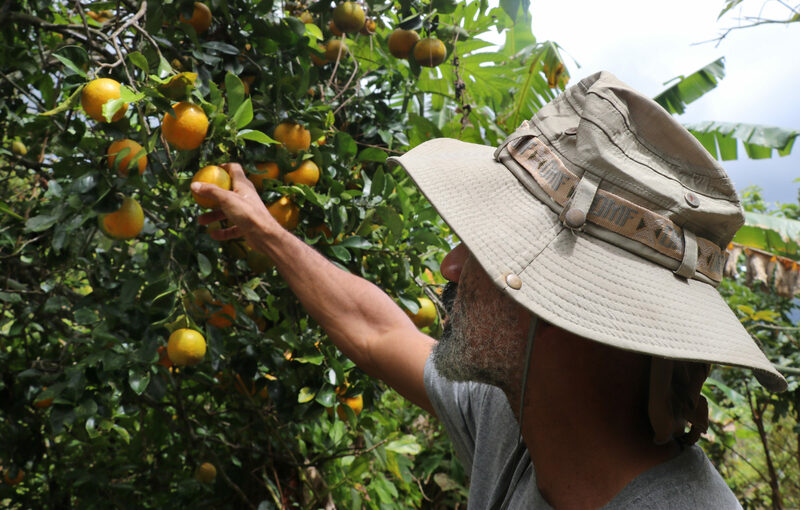 Living on the island for 11 years, the Ratliffs have not only developed their own sense of identity as Puerto Ricans, but also as sustainable farmers. While Sarah works as a freelance writer, Paul has turned their five acres of mountainside farmland into a reliable food source for themselves and their farm animals, growing tropical fruit bushes and tall, swaying palms. 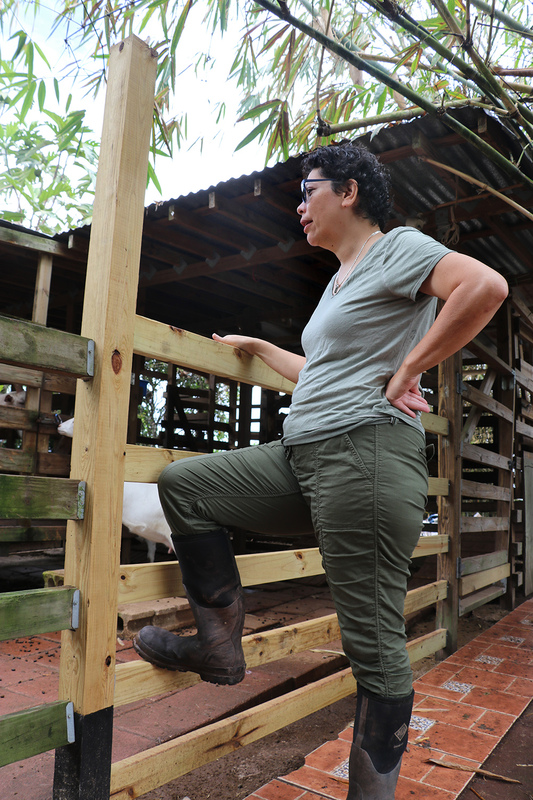 Their years of clearing land, planting seeds and tilling the soil would all be undone when Hurricane Maria roared across the island in September 2017. Sarah and Paul, while keeping their animals calm, did their best to also stay composed as frightful winds rattled their windows and doors. Sarah Ratliff said she and her husband were always square pegs in round holes. While Paul graduated from the University of the District of Columbia with a degree in engineering, Sarah went into the marketing field. The pair, who worked at the biopharmaceutical company, Amgen, for years felt as if they were “doing the drudgery of corporate America,” as Sarah put it. Though Paul originally wanted to pursue agriculture and become a forest ranger, pressure from the adults in his life led him down the engineering path. “Indeed, it’s lucrative, but ultimately it was unfulfilling, because I wanted to be outdoors,” he said. At a Breast Cancer Walk in San Diego in 2007, Paul told Sarah he no longer wanted to do “this life” anymore. He wanted to be a farmer, and leave the world a better place than he found it. “We could continue making more money, we could continue getting more stocks, we could continue amassing more stuff, but in the end our lives were really empty,” Sarah said. 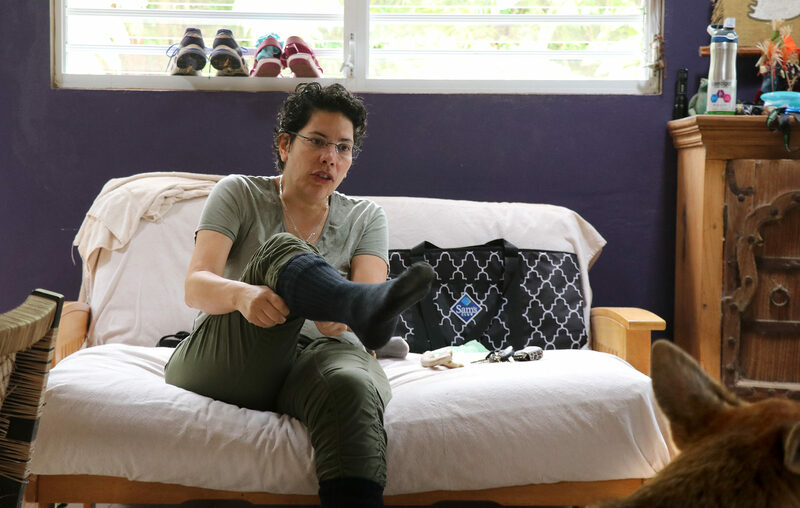 In just a few months, the couple sold their house, packed their belongings and made the long journey to the mountain neighborhood of Don Alonso in Utuado. In about a year, they established Mayani Farms, and Paul’s dream of working in agriculture was achieved. Focusing on sustainability and organic living, the Ratliffs do not sell any of the produce they raise. 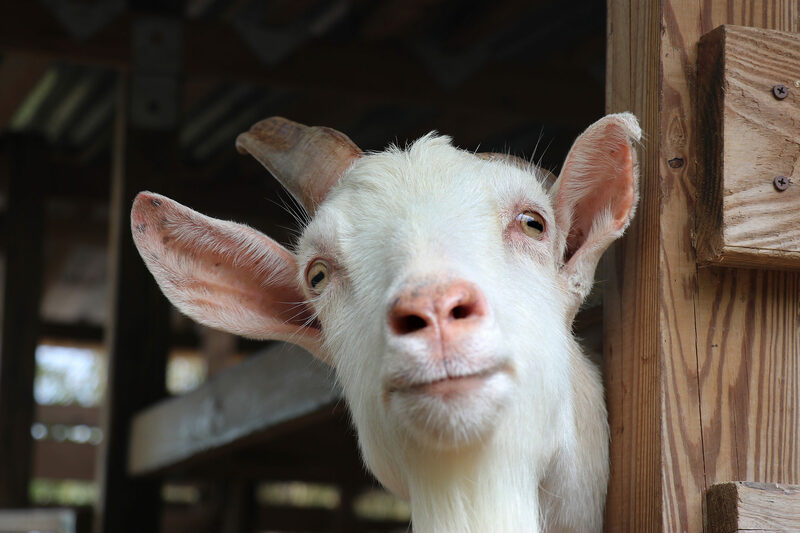 Instead, they use much of the goat milk, cheese and eggs for themselves, and share with neighbors and friends. Alongside Sarah and Paul, 11 cats, three dogs, one bird, seven goats and pigs, one buck and too many chickens and ducks to count have also taken up residence at the Ratliffs’ Spanish terracotta-style home. A chorus of squawks, bleats and squeals echo across the property. From the moment the couple arrived, friendly faces, warm greetings and a strong community caused the Ratliffs to feel as if they were traveling for 40 years before finally coming home. To Sarah, self-identity is an important part of her decision to move to Puerto Rico. Experiencing the same struggles and fighting the same battles as her friends and neighbors during Hurricane Maria helped Sarah discover her true identity. Like Sarah, many Puerto Ricans share an identity from several races — African, Spanish and Taino. She meets people from the island who assume she’s Puerto Rican, which is fine with her. 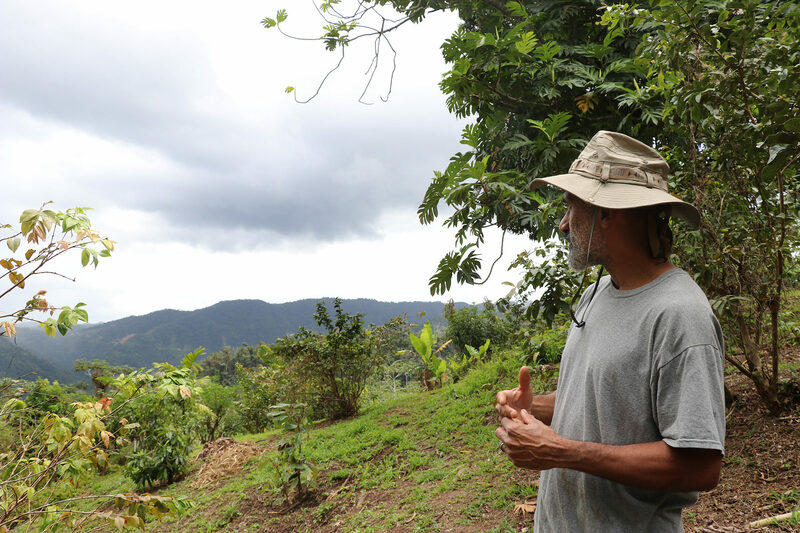 Of the five acres of farmland the Ratliffs cultivate, about 80 percent of their trees were blown away by Hurricane Maria. As the winds started up, the Ratliffs knew their lives would change — though they were not certain how. The first half of Hurricane Maria did little damage. After the eye of the storm passed over, however, the second half caused all the devastation. Their house was not damaged, thanks to years spent hurricane-proofing. Their farm did not fare as well. After the wind and rain died down, Paul said his crops were the last thing on his mind. His and Sarah’s own survival, as well as helping neighbors and friends was most important. It took the Ratliffs 10 days to clean their driveway after Hurricane Maria. They didn’t have electricity for nine months. The six-month cleanup they expected turned into a year and a half, with work still in progress. On a warm, showery afternoon, Paul takes visitors on a tour of the farm. As he climbs the muddy hills that link each crop and tree, he passes several plants supported by metal beams and rope — an effort to save the few trees that have a chance at recovery. He and Sarah said it’s “demoralizing” to lose everything they had worked years to achieve. Despite the initial depression and fear for how their farm would recover, Paul said those feelings are now gone. Most of the fallen trees are cleared. Overgrown weeds and vines are cut and pulled. With a sigh of relief, Paul said the hardest part of recovery is finally winding down. “I feel empowered that I can go and finish the job with all the other side projects — it’s not so depressing anymore,” he said. With somewhat of a clean slate, Paul said he can now rethink things he did incorrectly and plant different crops that will work better for their farm. They will start with kale, and move on to mustard greens, tomatoes and pumpkins. For Sarah, Hurricane Maria was a “very defining moment.” She said she put a different emphasis on what is important — and to her, staying in Puerto Rico is important. Despite the trauma of weathering their first hurricane together, the Ratliffs are more confident that Puerto Rico is the place they are meant to be.